Pop-up stores have become an ubiquitous part of any shopping mall in Singapore. From international brands to local indie labels, everyone is in on the pop-up game. Never will you see pop-up stores devoid of visitors, which seem to have some magical crowd-drawing properties about them. Maybe it’s their spontaneous nature – the unpredictable possibility of them appearing one day and disappearing without a trace the next, that keep consumers interested. The rise of internet shopping has been putting a major strain on brick and mortar stores. Waltz into any shopping mall in Singapore and you will more often than not run into pop-up stores in the atrium or in one of the vacant shop spaces. This is the sobering reality of the current local retail environment. As developers are witnessing the impending dearth of tenants in their properties, most are turning to short-term leasing to fill up the voids in their shopping malls, and that is where pop-up stores always comes in. What many do not realise, however, is the troublesome back-end processes pop-up store owners need to go through before they are unveiled to consumers. Two startups have taken note of this issue, and want to become trustworthy middlemen that connect businesses to retail space owners. 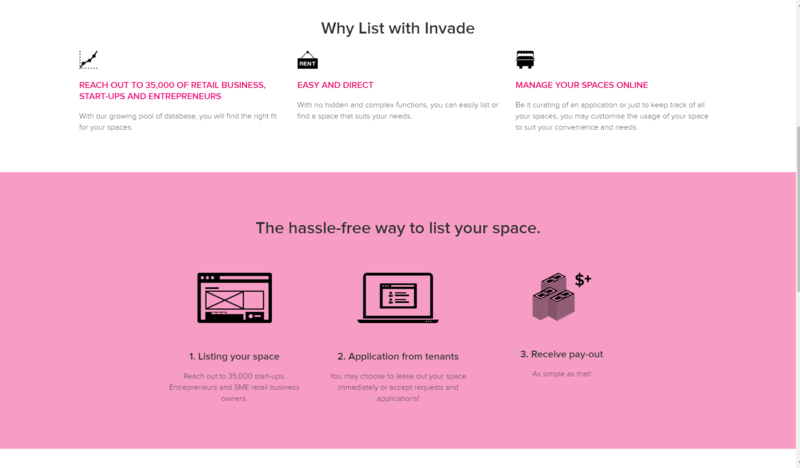 The first startup in Singapore to recognize this growing trend is Invade. Founders Koh Cheng Guan and Kent Teo are billing it as Singapore’s first real-time retail space booking system that allows businesses to rent and list their space efficiently in an online platform. From their humble beginning that started out with the flea-market craze in 2010, they have since grown to invade (pun intended) retail spaces, with a clientele of about 38,000 retailers and 100 landlords, and helped to lease out over 800,000 square feet of pop-up and retail spaces in these 6 years. 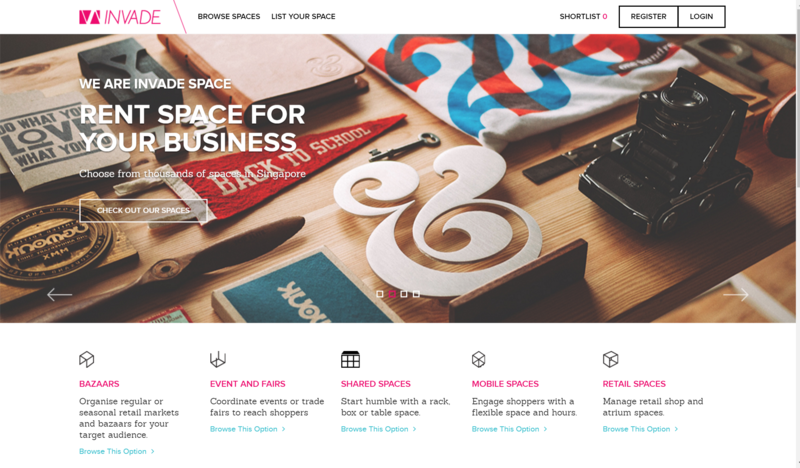 Entrepreneurs, and even startups in need of a short or long term pop-up space can browse through the easy-to-view catalog of retail spaces available at Invade, and just as easily select and book the desired location. Co-founder Kent Teo is well-aware of the problems of the high volume of unoccupied, and under-utilised retail spaces in Singapore, and wants to solve this. While Invade is helping people find appropriate spaces for their products and services, that’s not to say that retail space owners are left out in the process. Invade has made the process painless for retail space owners by providing an online platform that can be managed easily – from listing spaces for rent to viewing the many applications for each space, and finally, the collection of payments for successful applicants. With locations in malls such as Orchard Gateway, Orchard Central, Esplanade, and I12 Katong, and even outdoor spaces such as Farmart, there is definitely something for all. They haven’t forgotten their roots though, which is what their other website Fleawhere is for. It is the largest flea market operator in Singapore, whom have been frequently organizing flea markets throughout Singapore. 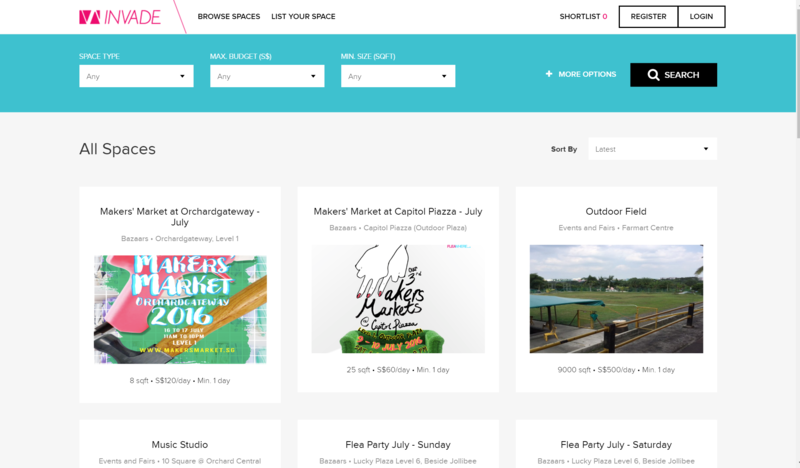 With locations that includes shopping malls, outdoor spaces, and even schools, they definitely proved that flea markets are far from dead, and what’s more is that spaces for the flea markets are also available on Invade.co for anyone wanting to be a part of it. The second startup in the middlemen game is PopUp Angels. 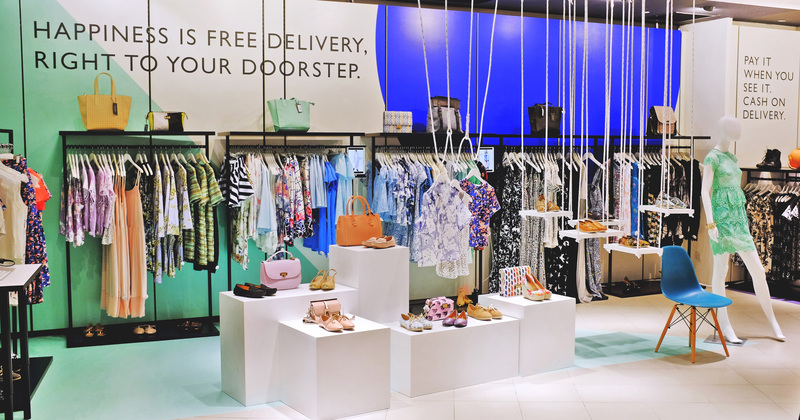 Hailing from Hong Kong, it was only incepted in November 2015, but has since set up base in Singapore this year, to get into the thick of the pop-up store action. 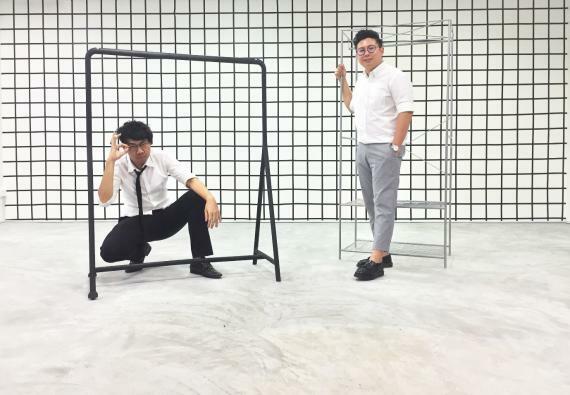 Co-founders Adrian Chan and Kit Chan wanted to find a way to simplify the cumbersome process of trying to find a space and the process of setting up and marketing of pop-up stores. 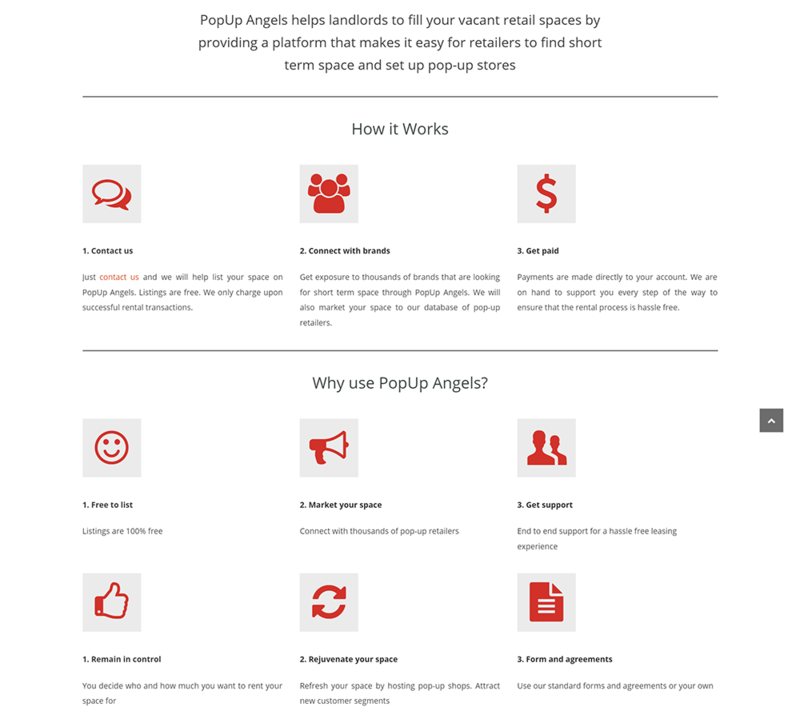 PopUp Angels aims to bridge the gap between seekers of retail space with its owners, with the co-founders themselves coming from a retail background, they are all too familiar with the hassle of anyone wanting to set up a temporary store. Aiming at entrepreneurs and companies wanting to test new ideas, or simply wanting to open a temporary physical store for branding presence, they offer rental periods anywhere from a day to a year. 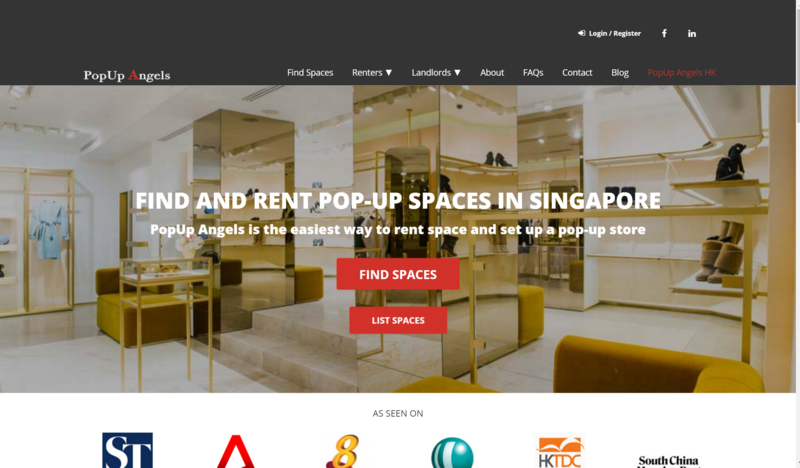 In Singapore where e-commerce is booming and shopping malls are increasingly devoid of tenants, having pop-up stores serves as a win-win situation for both small business owners and their landlords. While shops have increasingly gone online, the same can be said of them going back into the physical space, as consumers would still like to check out products first hand. A quick look through their listings shows the usual suspects of malls in Singapore. Potential seekers of these spaces can expect locations like malls in Bugis, Kallang, Orchard, Raffles Place, and outdoor locales like The Grandstand (among others) to be available. Veteran pop-up store regular Naiise have, in the past 2 years, been a trailblazer for any local online retailer to look up to. They previously mentioned to us that sales conversion from pop-up stores is universally higher with the human traffic that passes by. This in turn creates brand awareness, which then helps to increase visitors (and transactions) at their online stores. 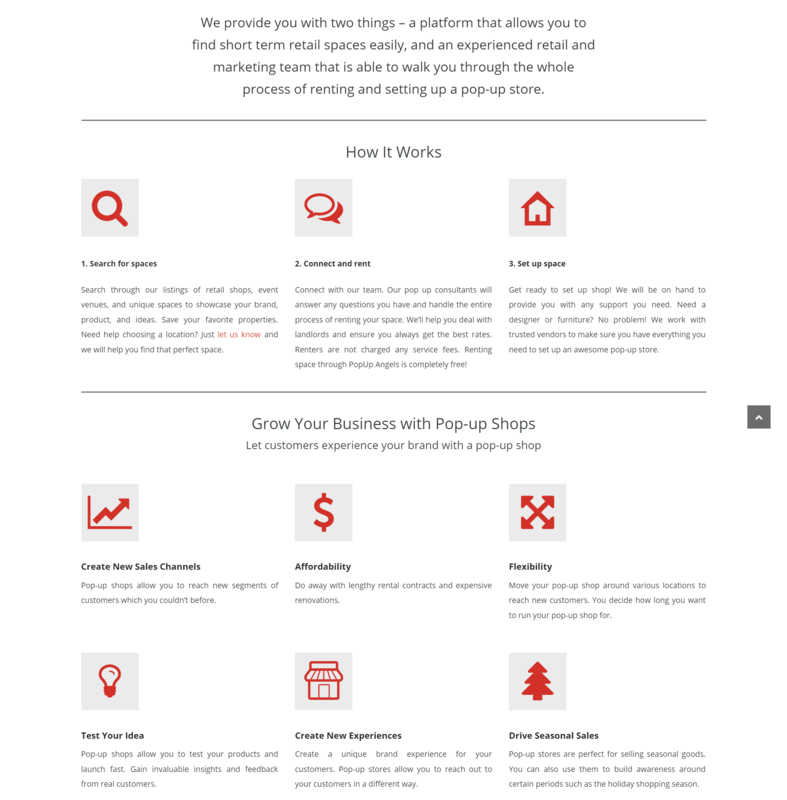 With these two free-to-set-up online platforms offering a viable one-stop solution for owners of retail spaces, and more developers increasingly moving towards having more short-term leasing options within their properties, it is not a far-fetched idea that soon, we may even have entire shopping malls dedicated to pop-up stores.